America’s most successful brands are using bulk SMS marketing to reach new audiences and engage existing customers. In this post we’ll provide some examples of how brands are winning with SMS, and show you the easiest way to create your campaign. 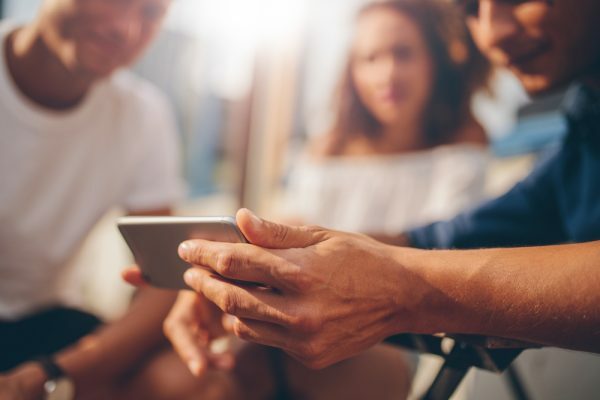 The fact that hundreds of leading brands—many with advertising budgets in the millions—choose to use mass texting as a part of their mobile marketing strategy speaks volumes. A bulk SMS marketing campaign is simple to create, affordable (especially if you use SlickText), and boasts a reach and response rate that meets the high standards of America’s most successful companies. Texts have a 98% open rate within as little as 5 seconds of receipt. More than 75% of consumers would like to have offers sent to them via SMS. A recent study showed that around 35% of consumers who receive a text message from a bulk SMS marketing campaign click on the link that they receive, and 47% go on to make a purchase. By comparison, traditional online banner ads have a click-through rate of 6%. A leading British race car circuit sent a mass text message to subscribers with an invitation to an upcoming race. The campaign achieved an ROI of 680%. 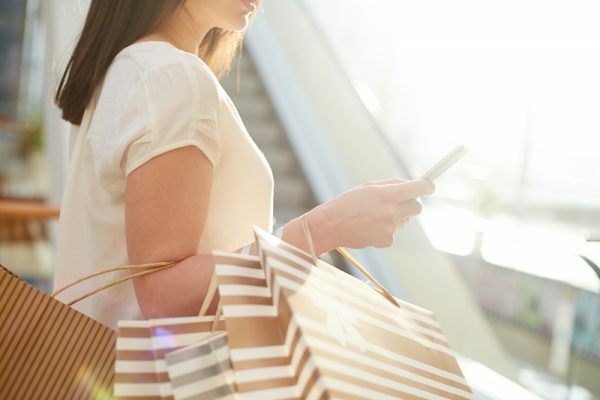 A well-known luxury cosmetics company found that 73% of SMS subscribers later made a purchase after receiving a text. A nationwide restaurant chain sent a mobile coupon via SMS which achieved a 20% redemption rate. The chain earned approximately $14 for every dollar spent on the campaign. A global nightclub and restaurant chain sent out a mass text which resulted in $12k in new business within a week. Spooky Woods, a haunted house attraction that has been featured on USA Today, ABC News, Travel Channel, and Forbes Magazine, achieved a 3142% ROI in their bulk SMS marketing campaign. What about email, apps and mobile ads? Email response rates are low, and continue to plunge. Since 2012, email response rates have fallen by 43% according to recent research. Email click through rates for retail marketing communications hover around 3%. The fact that sales emails often end up in spam coupled with low response rates make email a hit-or-miss component of your mobile marketing strategy if you are looking to optimize your reach. Consumers are keeping apps for shorter amounts of time. About 24% of consumers use apps only once, and more than 80% of those who download an app have uninstalled it after 90 days. If you’re relying on banner ads within an app to drive business, you may be facing a dwindling ROI fairly quickly. People are using their phones to shop more frequently, but they are using mobile ad blockers more as well. More than 70% of consumers in a recent survey stated that they dislike mobile ads and ignore them, or use ad blockers. Traditional mobile ads may be a costly experiment if it they are the foundation of your mobile marketing strategy. Here are a few things to avoid when planning your bulk SMS marketing campaign. This is actually a legal mandate, not a suggestion. Sending texts for your bulk SMS marketing campaign without first receiving a consumer’s explicit consent isn’t just incredibly irritating for your customers, it’s illegal. When any organization sends a mass text, it is essential to have each and every message authorized by the consumers who receive it using specific legal language that satisfies the requirements of the TCPA act. If you use SlickText as your mobile marketing platform, you won’t have to worry about this. Our platform handles web opt-in forms and mobile opt-in (including double opt-in) for you, ensuring that your campaign is fully compliant with current regulations. Since you only have 170 characters or less, it’s important to make the best use of it. Don’t use slang, jargon, or terms that could be misinterpreted or may confuse new customers. While “FWIW” may make sense to a Gen Y audience, it might come across as a typo (and not “for what it’s worth”) if texted to an audience of older adults. If you are using SlickText, you’ll be able to schedule texts ahead of time. This is a great way to prevent errors in timing that can diminish the impact of your bulk SMS marketing plan. Regardless of how brilliant the text is, your wit may be wasted if it’s sent, for example, early on a Monday (when response rates are lowest) or at a time when your consumers may be distracted by other events like a holiday. At SlickText, we’ve helped major brands, nonprofits, and businesses of every size build successful bulk SMS marketing campaigns. If you’re ready to upgrade your mobile marketing strategy, here are a few key components offered by SlickText that will enable your campaign to have the greatest impact on your audience. People can text a custom keyword to 31996 to signup to receive your texts. We call these keywords “textwords”. Each textword is original and represents a different list. Schedule text messages to go out at any date and time. You can set up one message, schedule them to go out regularly at certain times, or schedule your texts months in advance. Auto replies, or SMS auto-responses, are the messages that your customers receive after sending your textword to 31996. This gives you another opportunity to get your message across and to encourage them to reach out with any questions. MMS messaging allows you to attach images to any outgoing text marketing campaigns. MMS lets you to send up to 1,200 characters in the body of your text messages. Inboxing / 2-way text messaging allows existing subscribers to reply to your campaigns, send you text messages, and engage you in 2-way chat. Convinced? Bulk SMS marketing is perhaps the most powerful solution available to businesses of any size—not just major brands. We’d love to answer your questions and get you started. Read more about our features and then connect with us. We’re here to help!